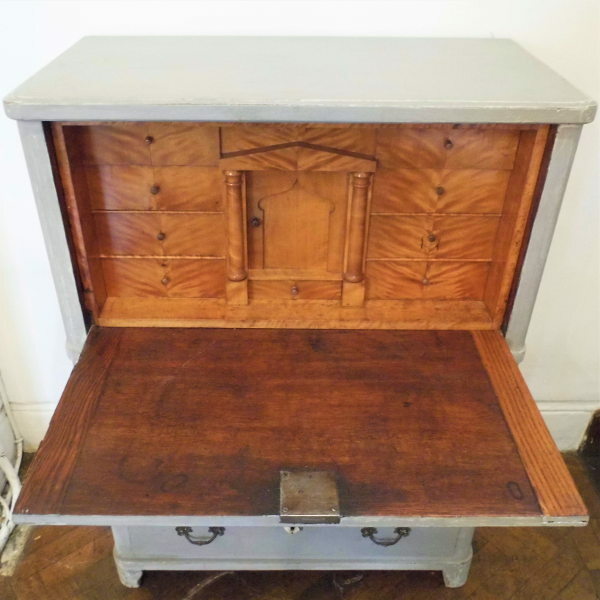 An early C19th Swedish Painted Bureau with a stunning architectural satin birch interior. The relatively simple exterior of this bureau hides the most amazing interior there are seven small drawers, one large concealed drawer and a door all veneered in bookmatched satin birch. 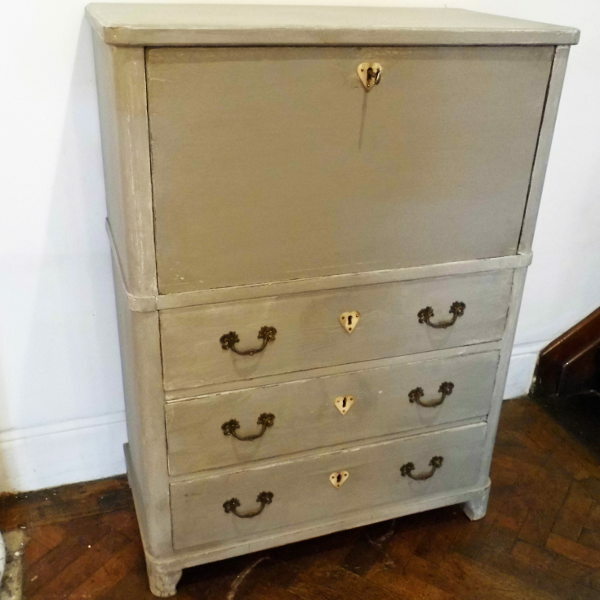 This is a very practical item of furniture with great storage space with the three drawers being big enough for clothes and lots of small drawers for bits and bobs. 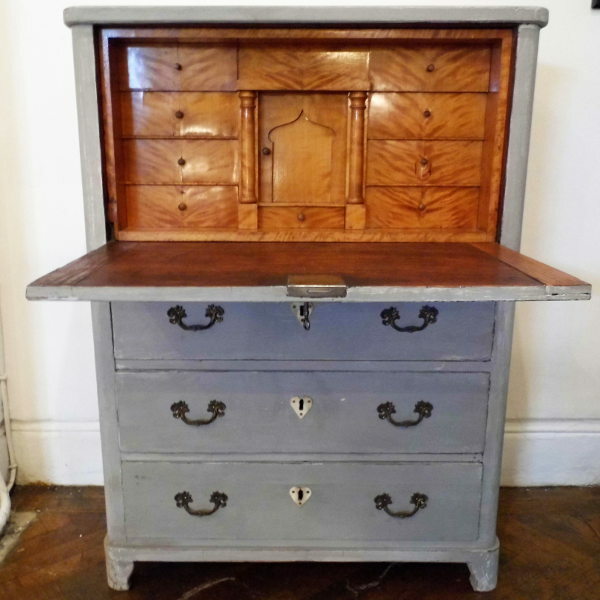 This bureau is in good antique condition, plenty of wear and tear but no major damage and all the drawers opening well. It measures cm high by cm wide by cm deep.